"A spicy chicken dish with a tomatillo sauce, best served over rice and accompanied with beans (black, red, or pinto are probably best). 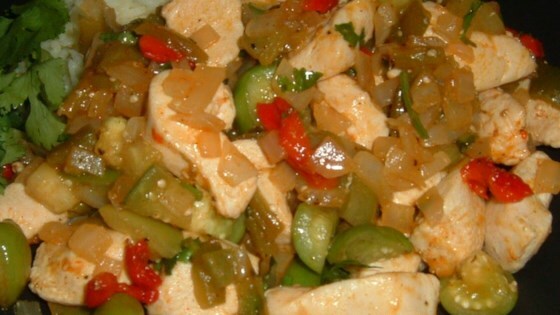 To increase the heat of the dish, you can always add more chiles - perhaps a serrano pepper." See how to make authentic chicken enchiladas in a flavorful sauce.